SO-Unconfined is aimed at the evaluation of unconfined compression tests. It has a user-friendly interface and lots of smart capabilities are implemented. Individual tabs are assigned for project information (including basic information, borings and samples) and tests. 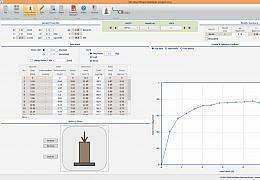 Test data and corresponding calculations are available in addition to software outputs. Note that unconfined compression tests could randomly be generated based on user-defined criteria. Test data can be edited using either graph or table. Random generation of unconfined compression tests based on user-defined criteria. * SO-Unconfined download link provides demo version of the software. 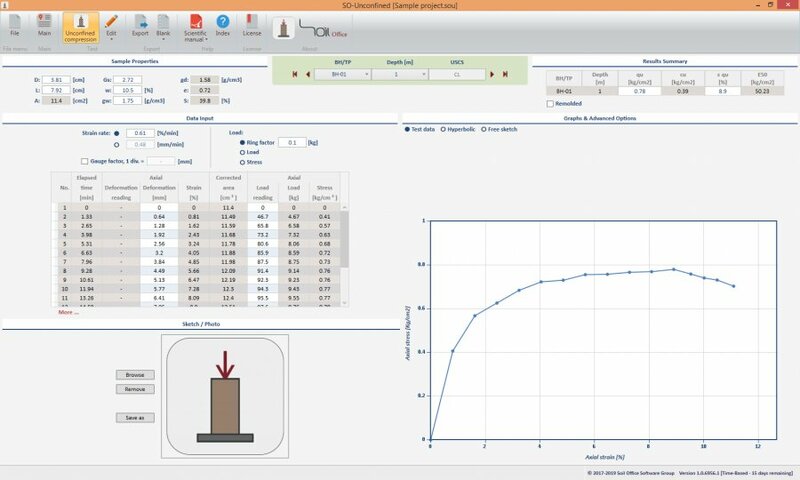 This is an application that can be used for analyzing Soil Sieve Test. SO-Foundation calculates bearing capacity of shallow foundations considering both shear failure and settlement. SO-Unconfined has been rated 5.0 out of 5 points. A total of 1 votes cast and 0 users reviewed the software.